Heyco TITE" Liquid Tight Straight-Thru Cordgrips - Bolt Products Inc.
Widest range of cable and/or thread sizes available. 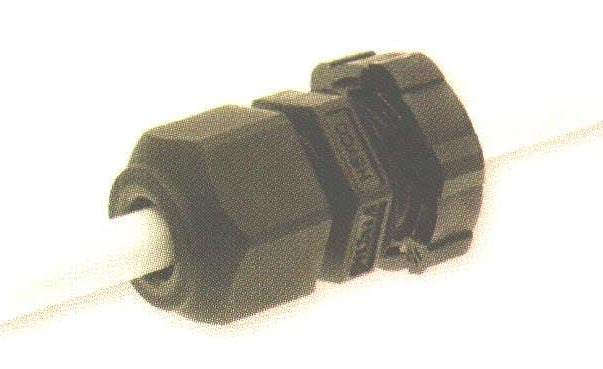 Includes six threads for cables ranging from .065 (1.7 mm) to 1.260" (32.0 mm). "Ratchet design" of sealing nut assembly provide superior antivibration protection and ensures a firm grip on this cable. Integral "Sealing Ring" ensures a superior seal at mounting locations every time. Working Temperatures : -22°F to (-30°C) to -212°F (100°C).